Best masks I’ve tried in a while. These from Korean brand Dr.Jart are one-of-a-kind. 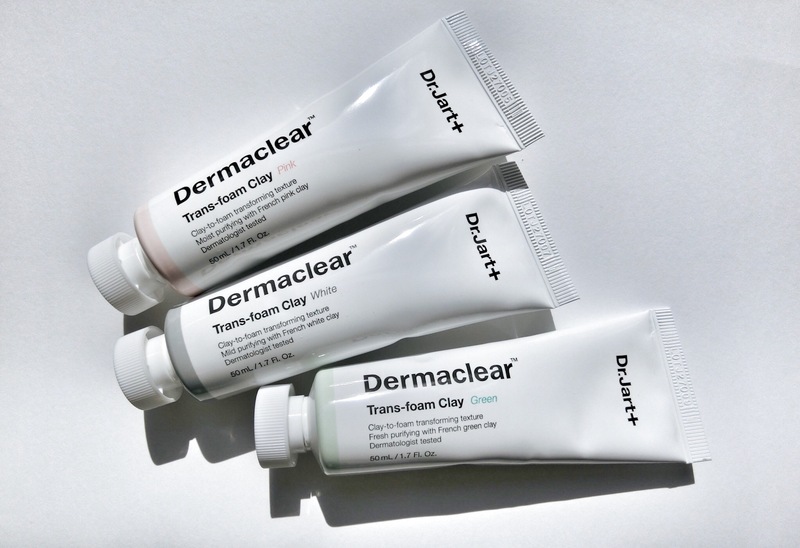 The texture is a cross between a bubbling oxygen mask, clay mask, and a foamy cleanser. It looks like a regular clay mask when you squeeze it out of the tube. It starts to bubble and form a thick, foamy shaving cream-like layer when applied on the skin. And when you rinse it off after the clay mask dries, it cleanses the skin like a foamy mask. After I used the mask, my skin was super tight, glowy and clean. But like most clay masks, it left my skin dry. So be sure to use a hydrating mask or thick oil or cream to replenish the moisture afterwards. There are three formulas: Calming White (cheek areas); Moisturizing Pink (cheek areas); and Refreshing Green (for the oily t-zone and chin). All are made with French clay that cleanses the skin deeply.